Adrenalin Snorkel and Dive - Tourism Town - The Tourism Marketplace - Find and book authentic experiences. Join our experienced crew on a 3 Day 3 Night Liveaboard Trip from Townsville, which visits both the Great Barrier Reef and the SS Yongala Wreck. 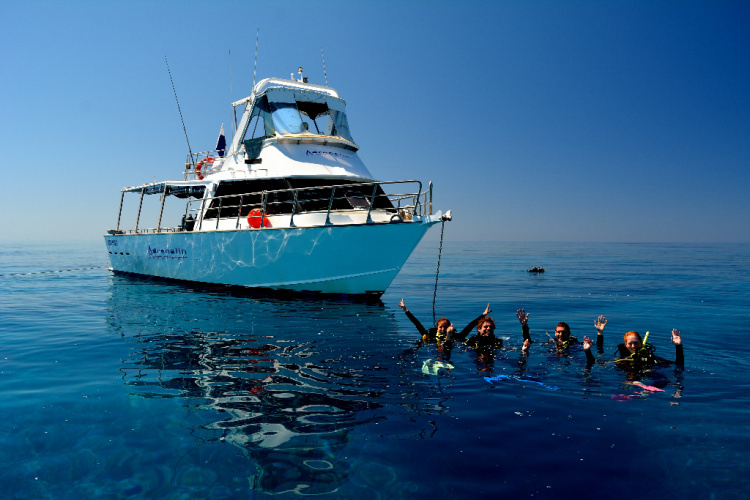 Enjoy up to 10 dives on exceptional sites. Wake up on the some of the most pristine reefs within the Great Barrier Reef Marine Park. Dive all day and into the night to experience the unlimited visibility of Wheeler Reef and the myriad of gullies and canyons at Keeper and Davies Reef, just to name a few. Up to 8 dives including 2 night dives can be enjoyed over the first 2 days on the Great Barrier Reef. The grand finale, Australia’s BEST dive – The Yongala Wreck. Be awed during 2 early morning dives on the Yongala Wreck where you will see huge groupers, big rays, turtles, sea snakes, sharks and huge schools of fish. Diving the Yongala is simply spectacular every dive, year round and is a ‘must do’ site for all divers! Payment is not required at this stage. Adrenalin Snorkel and Dive will contact you directly to confirm payment options and availability.